"If you don't turn that light off I'll ....."
This was taken at the Zoo. 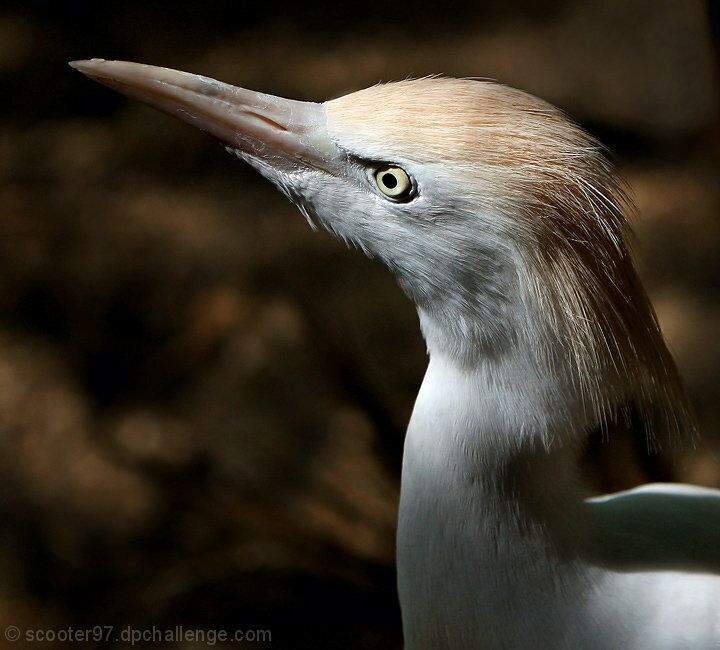 A captive Cattle Egret. I love this photo. You have a great portfolio. Great lighting here and crisp clarity! Colors in the background go perfect. Oh my! This is a gorgeous capture! He does have a bit of a stern look, but really that's overshadowed by the wonderful light. 8 - Beautiful light and I like the textures and detail - two biggest nit picks are the beak not in total focus and ... your title. Proudly hosted by Sargasso Networks. Current Server Time: 04/20/2019 02:44:57 PM EDT.